pugetsoundauctions has no other items for sale. 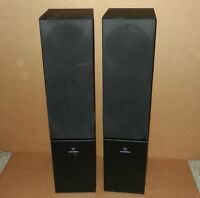 2 Used Sony Stereo Speakers. Works Great, Sound good. Payment is required within one week from the date of sale. If payment or communication is not received after one week the item will be relisted. Please pay by paypal. Shipping will be within 3 business days after the payment has cleared. We will file a non-payer bidder after the first five days if payment has not been made.